Capt. 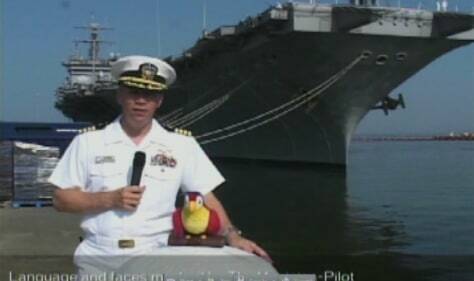 Owen Honors of the aircraft carrier USS Enterprise is pictured in this still image taken from a video. Honors was relieved of his command after the disclosure of his bawdy videos that featured slurs against homosexuals, simulated masturbation and toilet humor.